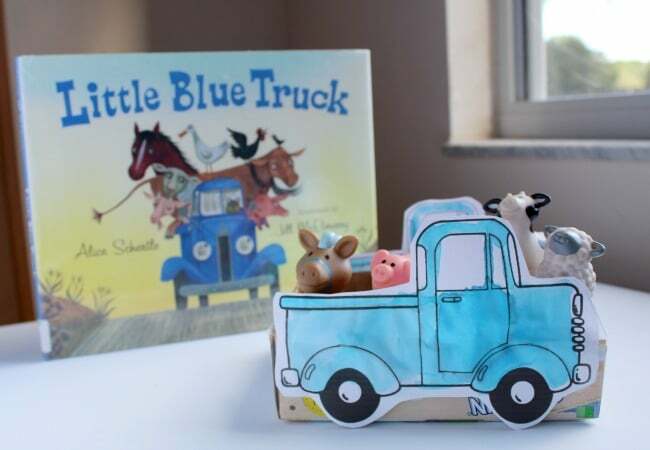 Recreate the scenes from the adorable children’ book Little Blue Truck with this magnetic farm activity for kids. 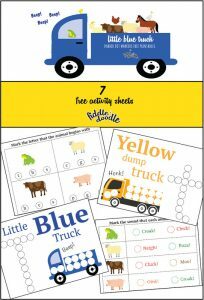 Beep, Beep, Beep goes the truck as you help your child learn animals sounds and names with this activity. Spending time at a farm with your child is such an classic part of childhood. As they begin to discover a cow, pig, horse or chicken really it with the sounds and movements. This fall look around your community to see what opportunities that are available to you. Many corn mazes invite you out onto their farm and plan to take time to observe the animals while you’re there. Our theme forWeekly Virtual Book Club for Kids this week is FARM. Our featured story is Little Blue Truck. Amazon Links Included in Post. We selected the children’s book Little Blue Truck is quite popular with many families and teachers. The adorable blue truck Beep’s it’s way through the countryside making farm friends along the way. They are even willing to answer his call for help to get him out of a muddy situation with a big dump truck. One of my favorite ways to create a book activity with this story book is to create a retelling experience for kids. 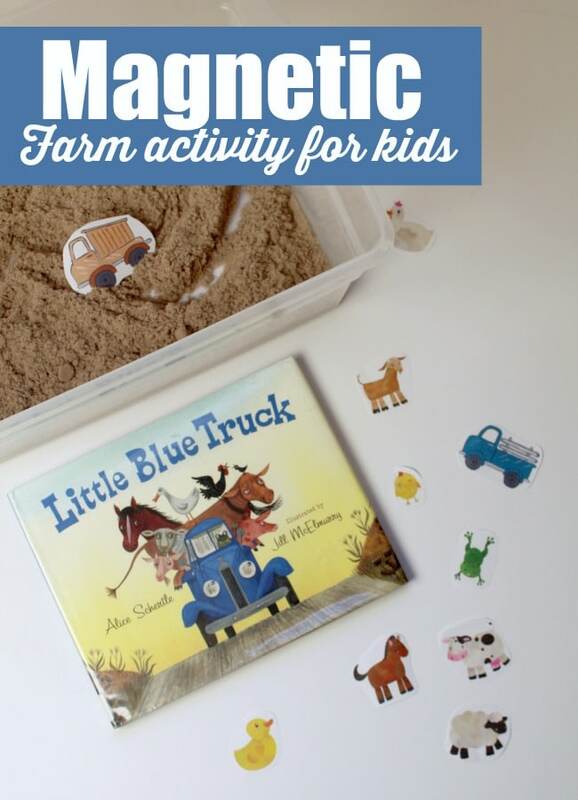 This Retelling Activity for the Little Blue Truck has a bit of science fun mixed in by adding magnets to the adventure. Can you make the little blue truck move? Try out this science book challenge with your kids! 1. Print about the character and Little Blue Truck from the story. I used this Little Blue Truck Unit from Simply Learning Kids. 2. Cover the pieces with contact paper and cut them out. 4. 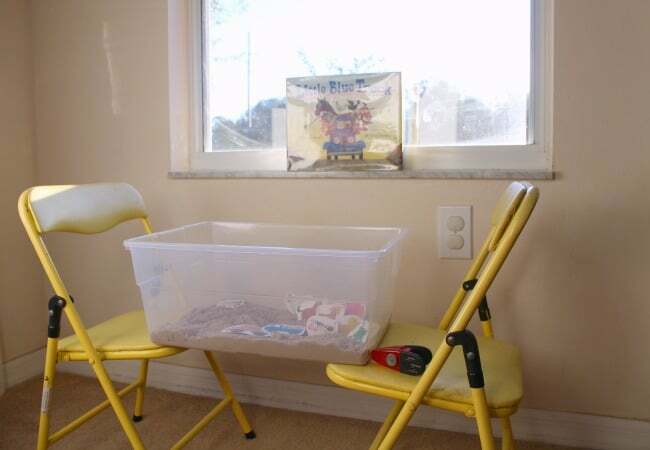 Place sand in a large clear plastic container. Elevate the sand above the ground by placing support on each side of the container to allow access to the portion below. We used two small chairs for ours, small shoes could work too. Be sure you’re set up in a place that allows for spills. 5. 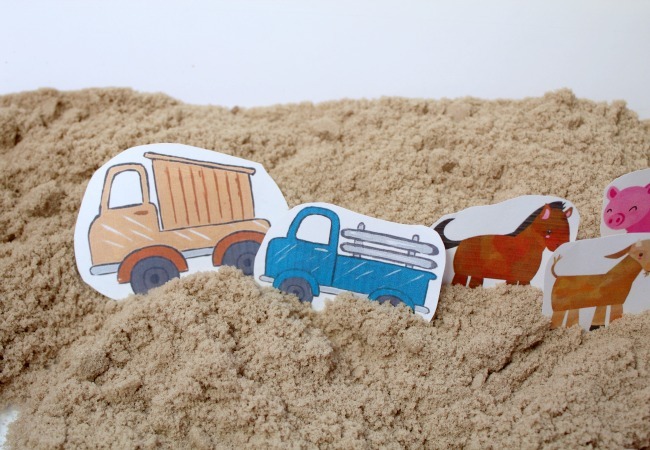 Place farm animals and Little Blue Truck into the container with sand, magnetic side down. 6. From below your child can retell the story by moving the magnets around on the characters by using a stronger magnet under the container. You’ll need a really strong magnet to get the pieces to move. 7. You can add additional elements from the story scenes to make your own special farm. We used our dot markers to work on our beginning sounds and fine motor skills from this printable too. We’re excited to be starting our new season of Virtual Book Club for Kids for 2016-2017. This season we’re hosting weekly themes and books. You can check out what’s next week here . YOU’RE INVITED. 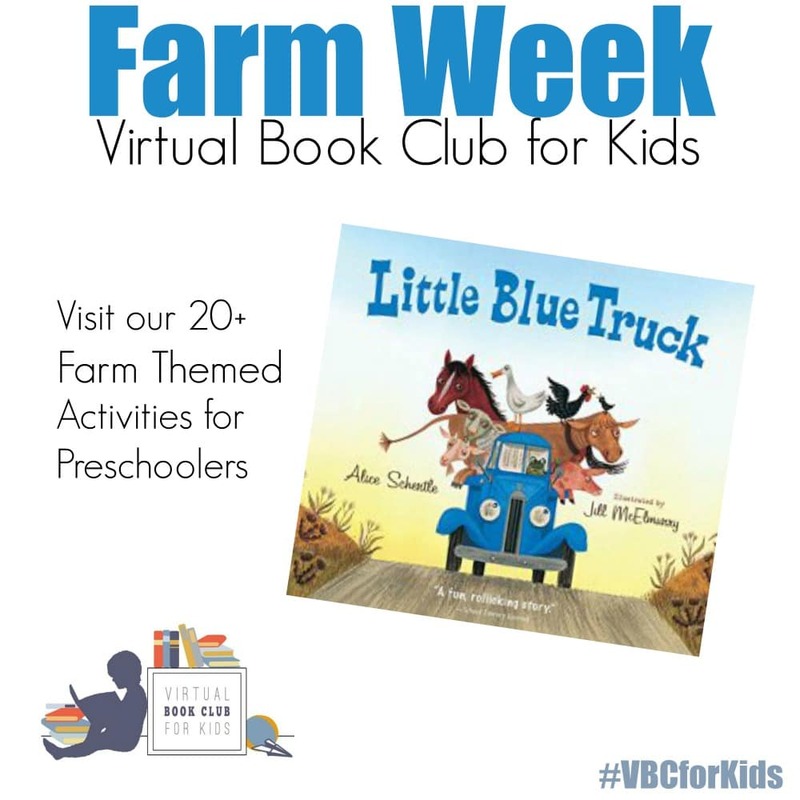 We’re inviting you to join along and share your own farm themed ideas with your child or students using the featured story Little Blue Truck or one of the other Farm Books mentioned above. You can share on our facebook page or join our VBC Facebook Group. 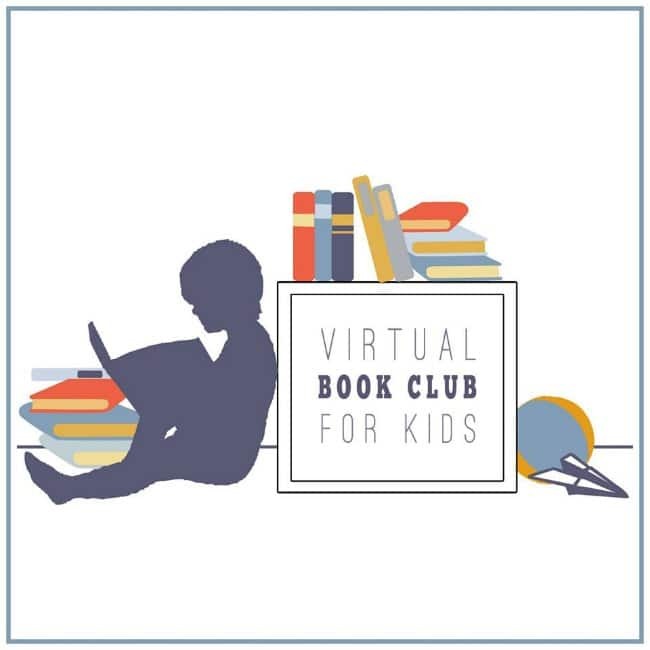 VIRTUAL BOOK CLUB HOSTS: Plus we’re inviting you to visit our Virtual Book Club for Kids cohosts sites for additional activity ideas all about Farms. I’m featuring below here for you to go check out and get ideas for your preschooler ages 2-5. I invite you to go check out our Virtual book Club for Kids cohosts and the activities that they are sharing below for you and your child that are all farm themed. Next Week we’re featuring The Very Busy Spider by Eric Carle. Come Join Along! What a fun idea. We love to explore with kinetic sand. Magnets are the best!! This set-up is brilliant!